It has been a momentous season so far for the Ireland Men’s Rugby Sevens team. 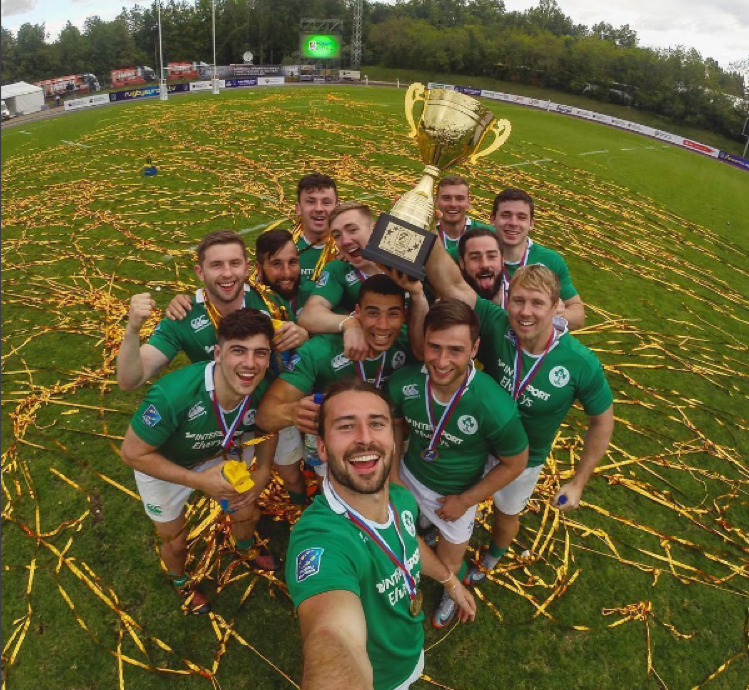 Recently crowned cup champions at the first Rugby Europe Sevens Grand Prix series tournament of 2017 in Moscow, they beat a well-experienced Spanish side in a tightly-contested final. Following the first leg and a quick turnaround, the young side finished 3rd in Poland achieving another fantastic result. Despite having less than a week to recover, which is a huge challenge on its own, it was proved no difficulty to the boys in green as they were unbeaten on Day one in Lodz, Poland. So far, they have gathered a total of 16 points in the tournaments, which has given them plenty to build on as they move into the penultimate leg of the Grand Prix Series In Clermont-Ferrand (July 1-2) before the final stage in Exeter two weeks later (July 15-16). Intersport Elverys are proud sponsors of this strong upcoming side. 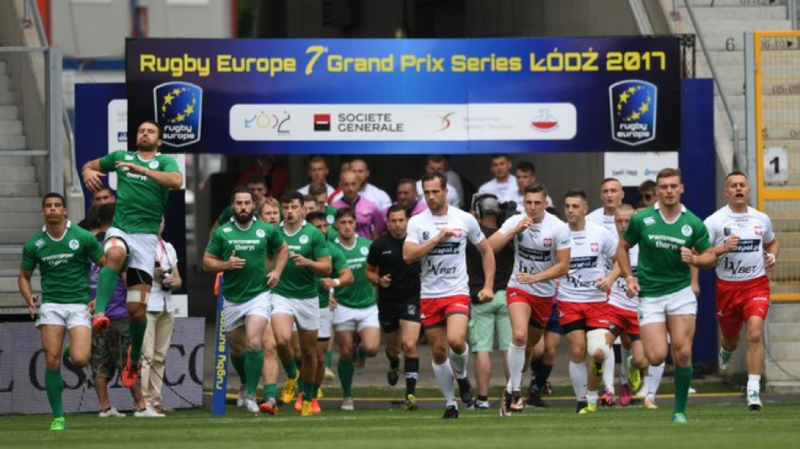 With a huge boost in the men’s sevens programme this year, which has seen the team progressing through to the lower European tiers over the past two seasons. We also caught up with Sevens player Harry McNulty, on his experience with the side and he gave some inside gossip from the Ireland camp. The future is bright for men’s sevens game. How are you looking forward to the World Cup? My thoughts on the World Cup right now are in a strange position. Now, our first goal is to qualify for the Hong Kong World Series qualifiers and then as a bonus the World Cup. After two legs of the European Grand Prix we are drawing in first place with Russia and Spain, both of which are also trying to qualify, but only two spots are up for grabs!! With two legs left in the Grand Prix it is all up in the air and one poor performance will be the decider whether we make it or not! On that, if we qualify it would incredible to have the opportunity to play against the best sides in the world. It will also be the first time since 2009 that Ireland would be involved in a 7’s World Cup, which would be an extraordinary achievement. What are your thoughts on the Sevens game and the game in Ireland? I am inspired by the opportunity to be a part of Irish 7’s history. I’ve been lucky enough to have been involved with the programme since day one and to see where the team has come from (Bosnia – Division C) to now (European Grand Prix) is amazing. To have the opportunity to be a part of the first Irish Men’s 7’s team to play on the World Series as well would be an incredible honour. How does it feel to be inspiring others? I’ve never thought about that really! I still get huge inspiration from players on the World Series and as we are not on that level I guess it’s hard for me to see that I may be inspiring someone. It’s amazing to think someone may be looking up to you and wants to be able to be in the same position as you. All I can do is try and be a good role model and keep improving my game to make sure that anyone looking up to me maintains inspired! How do you relax away from rugby on tour? Personally, I like to get into the city that we are playing in and explore. 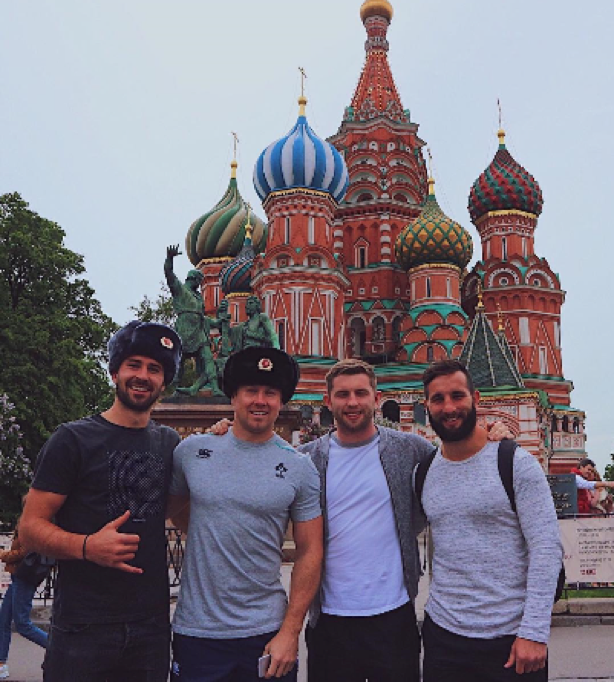 I love travelling so by getting to do it through rugby is a bonus and I want to make sure I make the most of it. As a team, we play a lot of card games as well. Those games can go on for hours! Definitely Hong Kong. Before it was a professional game my dad played and scored there for the Bahrain Warblers and it would be cool to be able to score their as well. If I could score against anyone it would be Fiji. They are the best 7’s team in the world and Hong Kong is where they play their best rugby so it’d be a pretty memorable place to score against them. Shane Layden – he is quick witted and loves to try and get under your skin. He’s also been around since day one and I like to think I know how he operates and I find it funny when I see him doing the same tricks to the new guys like he did to me! The confidence is high in Camp, as the weeks progress no doubt we will see this group of strong lads strive to greatness in the green jersey. It’s an exciting prospect to see what this team can do. It has been shown over the last few weeks that Ireland have the mentality to fight for everything, they sure don’t let each other down and have accepted that they will be judged on exceptionally high standards. The future is bright for Irish Rugby. Coming off the back of these tournaments they have planted a little seed in the minds of the ‘Higher ranked’ teams that will also be competing for the World Cup spots in 2018.